Posted 08-04-2014 by Dale Bohman. 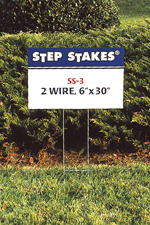 Whether its for a Garage Sale, Political Campaign, hiring or something else, nothing beats the economical coroplast yard sign. 1. 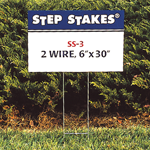 The “STEP” stake: This is simply a heavy gauge wire designed to be put into the ground with just a quick “step” of your foot. It sticks into the vertical “flutes” of the coroplast panel. These are cheap, but don’t expect it to last much longer than a week at best, a good wind or storm will knock it over. 2. 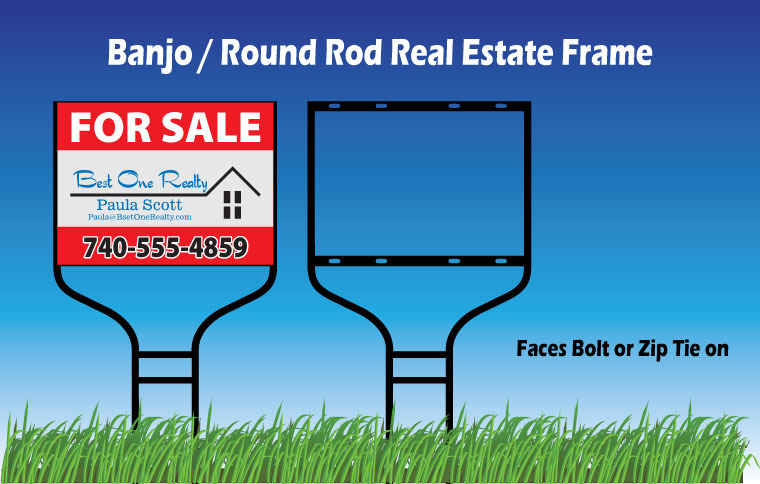 The “Banjo” Frame: This is a more solid, dependable and lasting option for displaying your yard sign. 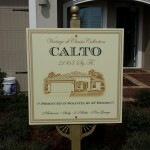 Popular with realtors for advertising property. It will stay up for many months and it takes a pretty good storm to knock it over, but the cast iron frame is not going to blow away and you can just put it back up. 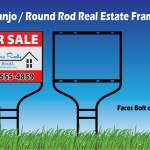 With these frames you can print on coroplast, or smother material like PVC or aluminum. 3. The Plastic H-Frame: This heavy duty plastic frame offers increases durability, but is lighter and easier handle than a banjo frame. It has an extra “rider” panel that can be used to advertise options like a pool for realtors. The panels slide in easily and are easy to change. 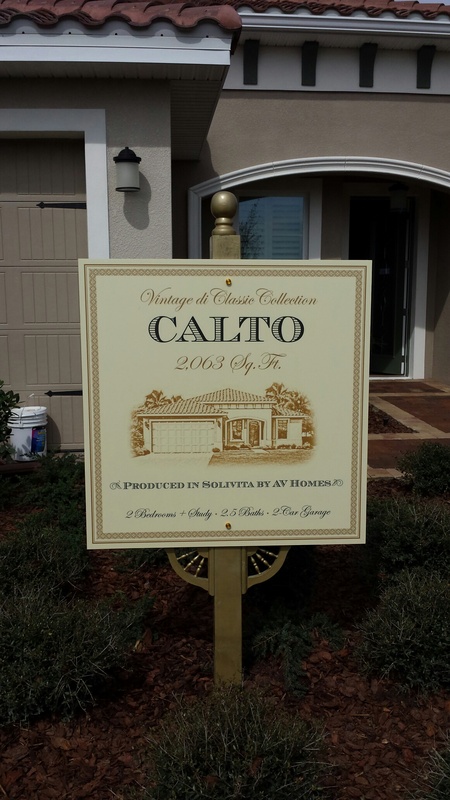 Its ads a classy look to your yard sign and gives it a more permanent look and feel. The solid stakes make it stay straight better than other frames. These look great when combined with 3mm PVC panels. 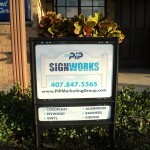 We can custom make your sign to really stand out! 4. 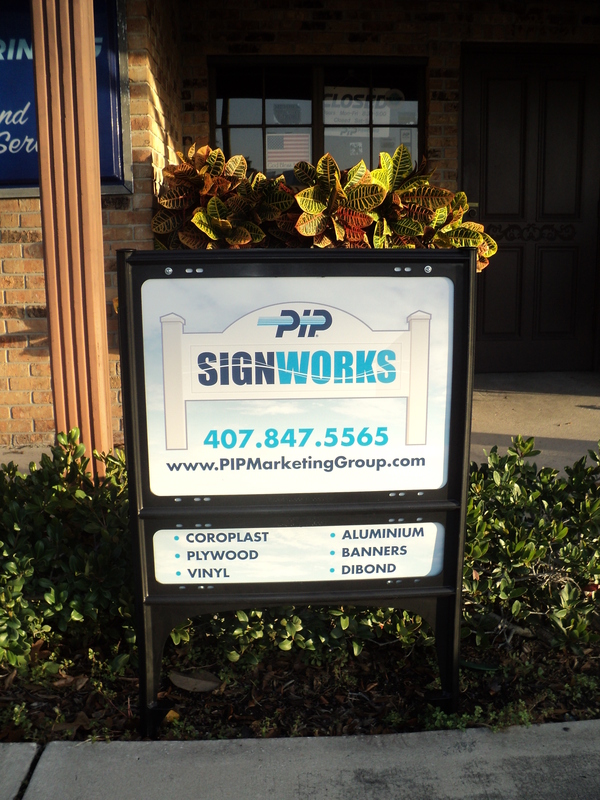 Custom Yard & Display Signs: Of course another option is to let the team at PIP create a custom display solution that will look great advertising your model, real estate agency or any other purpose. This one is printed on 10mm PVC and matte laminated for durability. We have to people and equipment to make you look professional and classy!